St. Anton is likely the most well-known part of the greater ski area “Arlberg” – which is the largest interconnected area in Austria with its more than 300 km of groomed slopes (and actually one of the largest in the world). If you tell people you are going to St. Anton there is a significant chance they will nod their head and confirm this is a name that ressonates – even if they haven’t been to St. Anton. But that’s because it in many ways entails the whole concept of Alpine skiing and is home to a cultural skiing heritage that not many other resorts in the world can claim. If you love skiing and you haven’t been to St. Anton, it’s like a missing piece in your winter sports upbringing. It might sound grandiose, but this is just a place that has it all – you’ll find slopes for beginners to experts, spectacular views, extensive opportunities for off-piste skiing, a world-class after ski culture, a friendly and lively village with shops, bars, restaurants, hotels and accommodations to suit all needs whether you are young and poor or mid-age and well-off. However, what everyone staying in St. Anton shares, is the passion for skiing – this is the place you go to because you love winter sports and wants the full package of sports, entertainment and well – a little party once in a while. You don’t come here to be seen or sit for hours with a drink in the sun looking at others skiing – then you go to nearby “Lech”. In St. Anton your priority is skiing or snowboarding – and why would you not spend all day on the slopes in such a fantastic area? Before we dig into the skiing, you might want to check out the map and familiarize yourself with the different areas. You have St. Anton as the main village with shops, bars and hotels and the main lifts taking you up in the area. But that doesn’t mean you have to stay right here – as in every other main village it is more expensive and more crowded and noisy. Directly connected to St. Anton you have the smaller villages St. Jakob and Pettneu which holds a myriad of accommodations and though it might sound cumbersome to not live right in the spot of St. Anton, in reality it is really convenient. You have free shuttle busses running almost constantly back and forth (every 15 min) and at peak times you will often see 3 busses in a row to make sure that no-one is left behind because there is not enough room. This bus system really make those outer parts very attractive as prices are lower and life is quieter and more relaxed here. On the other hand – if you want max from the after-ski and to feel the pulse of a very lively ski village, you should of course reside in the center of St. Anton. 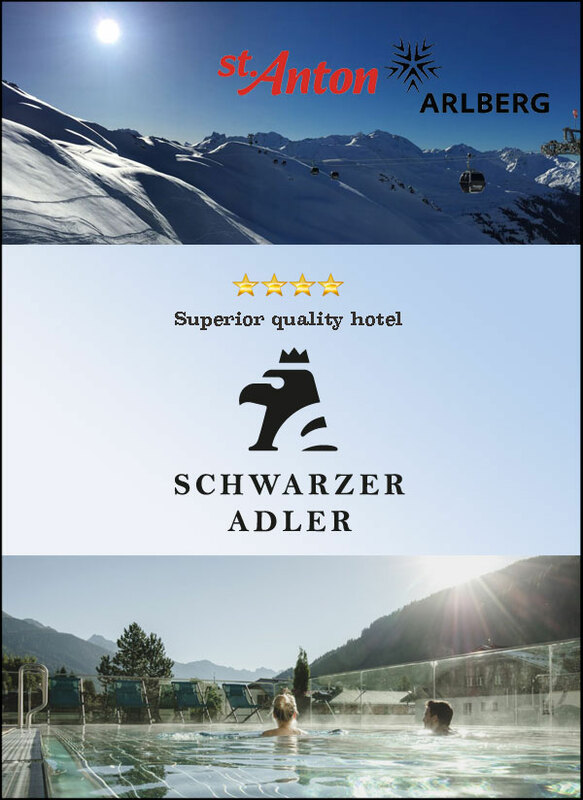 Here you will find fashionable hotels like the Post and Schwarzer Adler, but also a bunch of cheaper, but still absolute center hotels. 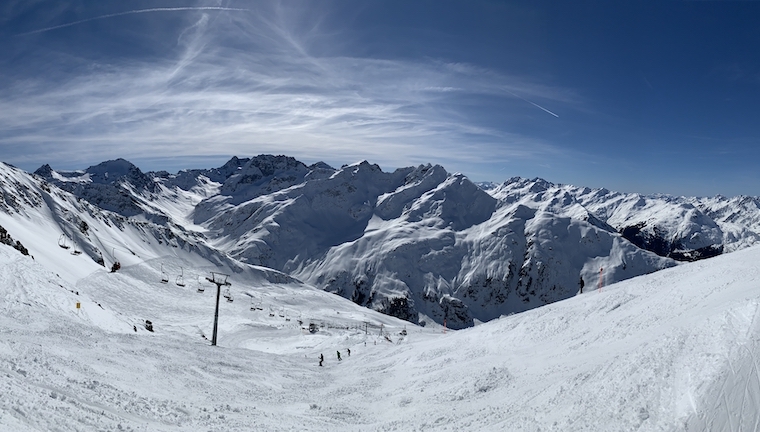 So back to what it is all about – the skiing! Get up and out as early as possible – preferable when the lifts open at 8.30 or whenever it is. It might feel terribly wrong when the alarm sounds way too early on what is supposed to be a relaxing vacation day – but you will be rewarded. There will be less crowds gathering at the main lifts and the first couple of runs down well-prepped slopes, still not spoiled by thousands of other guests, is really the essence of the memoirs you take with you back home. Avoid central parts – seek towards the remote areas. It might take a bit longer, but again – you will be rewarded with empty slopes and you can refine your turns on unspoiled slopes without having to constantly watch out for speedskiers from behind or avoid running down families with small children in front of you. They haven’t even made it out of bed yet. 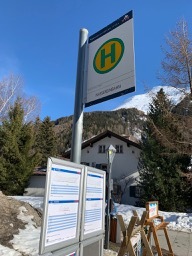 In St. Anton there is the Galzig lift in the middle of the village – it is a large, modern gondola with large capacity but it is also the lift that all others are taking – it will be crowded at most times. Try instead to go up with the eastern Nasserein and further up with Kapall to the Kapall top at 2330m. Here you have both blue, red and black slopes and they are fantastic early in the morning. Another good option is to go up on the opposite side of the main area – the lift is called Rendlbahn and it will take you to a smaller, but very fun area. You will find forrest trails and lots of off-piste opportunities – and it is not like “off-off-piste”, like in “far-away-from-everything-you-need-a-guide-and-a-survival-kit”- Like much of the off-piste in St. Anton it is really managable by most intermediate skiers because you will have good views of the marked slopes and never get lost in crazy steep and rugged terrain. You can have off-piste fun, but if you feel too challenged (or too tired doing deep snow turns…) you can easily revert back to the normal slopes. Especially around the outer areas with the Riffel 1 and 2 lifts, there are plenty of opportunities for having fun outside the slopes without being an experienced off-piste adventurer. This however, also brings me to a less favorable side of the story of this large skiing area – there are too many outdated lift systems. The official figures says 14 two-seater chairlifts and that’s about 13 too many. All resorts have their one or two 40 year old two-seaters in a remote part of the area – that’s just how it is. But having 14, and many in quite populated areas, is not good enough when you pay 55 euros per day for a lift pass. And even though there are lots of larger chairlifts in the area, most of them seem quite dated and not of a standard you would expect from such a world class ski area. Going up on the main side, with the Galzig gondola really opens up the entire Arlberg area. From here you can go to neighboring villages like Stuben, Zurs and Lech. One long and adventures trip is to go up to the Valluga mountain top and go all the way to the bottom where you will find the little village of St. Christoph. If you are a wine lover, spoil yourself at the Hospiz Alm, a little shy-looking gasthof at the slopes in St. Christoph, go to the basement near the mens restroom and see if you can get a peek of their amazing wine cellar. But beware of the prices even if you don’t order a glass of vintage wine – a simple Coke will rob you for 8,5 euros…!! In all – the St. Anton area is an absolute must-visit destination – no doubt about that. 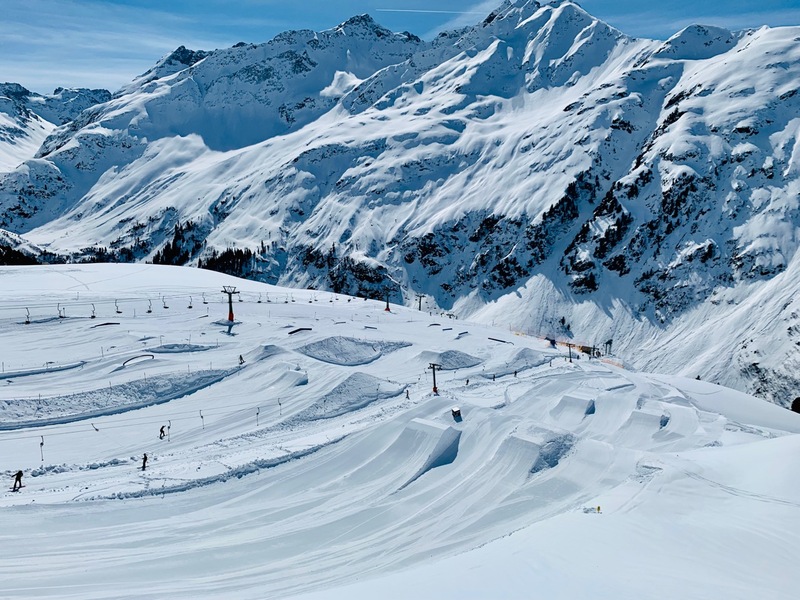 The village itself and the entire Arlberg ski area, and its many offers, is simply a top skiing resort. The lift systems could use a upgrade, but that will hopefully come and it doesn’t change the fact that all skiers owe themselves a trip to St. Anton. st anton is my favorite, we have been there so many times and we alwavs has a wonderful time. There are many different places to stay and something for all if you want party or be with family I very much love it. Sounds really good I have never been to st anton but seem like something to consider next year. thank you for the article.